Toutons are traditional Newfoundland comfort food which are usually loaded with either animal fats or oil. 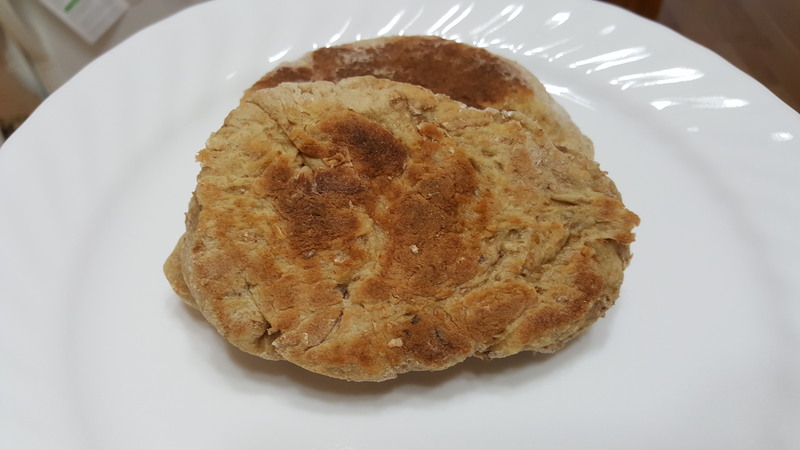 Our friend Marie Letemplier made these delicious plant-based toutons with zero fats. Take 2 cups of flour. Add the yeast, salt, date paste and mix all the ingredients. Keep kneading using remaining flour until bread consistency. Knead again and let it rise again. Form dough into balls and flatten into 3 inch rounds. Bring a pan to medium heat and fry them without using any oil or grease. When they are golden on one side flip them and fry for an equal amount of time on the opposite side or place them on a parchment lined baking sheet in a 250 degree F oven for another 10 minutes or so to ensure that they are cooked through. Serve them with homemade jam or drizzle some molasses on it.